There are lots of domain hosting company in Bangladesh but Dhaka Web Host Ltd. is the best, the most reliable reseller web hosting company where the users can host their websites and can stay relax. In this modern era who doesn’t own a website? To build up a business and spread the goal of your business around the world no other option is best without a website. But the important role is depend on the hosting where you host your website. We provide the best web hosting services with high security at cheaper cost. We use the most powerful dedicated server to provide the best secure web hosting to our clients. Users can purchase any shared web hosting packages from us and host their website. Reseller hosting is one of the best web hosting packages of Dhaka Web Host which will help the clients to build up their personal business. 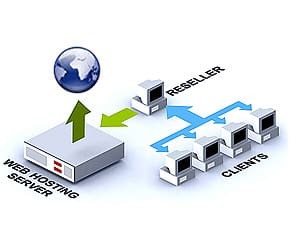 Reseller hosting means a user purchases reseller web hosting services, sells them to customers by creating different plans with different resources and act as their own hosting company. 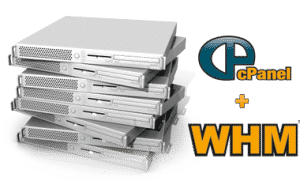 Reseller Hosting is such a kind of web hosting in which the hosting owner is capable to create multiple hosting accounts and resell those hosting. 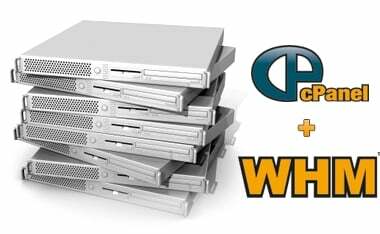 Depending on the reseller package you purchase, you can have as much cPanel accounts you want. On a reseller account, you can set up each domain name so it has its own cPanel. Just like other services, it has both the advantages and disadvantages. Low cost but earn more revenue. Leave technical support to your web host company from where you purchase the service. Reseller hosting accounts allow a user to create own plans and sell them to others. Useful to calculate the approximate number of resources for each of the created plan. A reseller package comes with different kind of tools which make things easier and save your time. The reseller company provides full support so there is no need for the customers to look for support elsewhere and feel relax. Some reseller accounts will can be upgraded to provide more storage and bandwidth. It is more expensive than other shared hosting packages. But if you think you can resell the service to enough clients than this would not be a big deal for you. Being a reseller means you are responsible for the services you provide. So, be ready to deal with the customers’ requests. If you do not pay the required payment on time then your account will be suspended and all of your customers will lost access to their account also. Your service is only as good as your upstream provider. If the server is poor or frequently down, you may lose clients. So, what are you waiting for? Purchase your desire reseller web hosting package from Dhaka Web Host Ltd. and start a successful business.